While workers’ compensation pharmacy benefit managers have been utilizing drug formularies for a long time, only Washington, Texas, Ohio and Oklahoma have state-regulated drug formularies in place. Several more states are considering their use as a way to reduce drug costs and curtail inappropriate treatment that may hinder an injured worker’s ability to return to work. The concept isn’t new, according to Mark Pew, senior vice president of Prium, a workers’ compensation medical intervention company, who said group health insurers have been using drug formularies for a long time. Because pharmacy costs have been a large contributor to the increase in overall workers’ compensation medical costs, a number of states have looked at incorporating the group health model, he said. The way drug formularies work varies by state, according to Pew. “We’ve got 50 different systems. Every state has different political realities, has different ways of addressing treatment guidelines, ways of addressing dispute resolution processes. 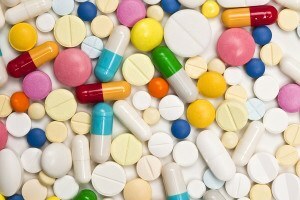 All of that contributes to what kind of formulary is implemented,” said Pew. According to Jennifer Kaburick, senior vice president of Workers’ Compensation Product Management and Strategic Initiatives for Express Scripts, state formularies are intended to be a guide and have different objectives than a standard health plan formulary. The primary goal in workers’ compensation, she said, is to make sure that a person’s treatment is related to their work-related injury. “Typically, the workers’ comp formularies are designed to cover drugs that are typically related to an injury and but then not cover drugs that…wouldn’t be work-related,” said Brigette Nelson, senior vice president, Workers’ Compensation Clinical Management for Express Scripts. California, Montana, Tennessee and Maine, are currently considering drug formularies, said Kaburick. Louisiana is researching the idea and Arkansas’ drug formulary is set to launch in July 2015, Pew said. Besides being more cost effective, state-regulated drug formularies have other benefits, experts said. “I think the biggest benefit is really enforcing or forcing, if you will, prescribing behavior changes. If you think about it in terms of what’s best for the injured worker in returning to function and returning to work as quickly, and efficaciously as possible,” said Pew. Kaburick said in addition to cost savings, there is the likelihood of better utilization. “It does appear that they’re saving money for payors…controlling prescription costs in the system for that particular state, but also while ensuring injured workers maintain access to the medications that they need for their effective recovery,” said Kaburick. Pew also noted better utilization as a benefit too. “By changing prescribing behavior, and what I call the hassle factor they make it more difficult for doctors to automatically write a script for a drug,” Pew said. He cited Texas as an example, where for all new claims on or after September 1st, 2011, the state requires compliance with the formulary. The Prium senior vice president said that if prescribing behavior changes from inappropriate care to appropriate care, patient outcomes should be better. A third benefit, according to Pew, is that it will retrain physicians to avoid automatically writing a prescription for a certain drug. It forces them to consider other modalities. “In theory, we should get better care because the drug formulary is guiding them away from drugs where the harm is more than the benefit, and guiding them to other treatments,” said Pew. A potential indirect effect is less addiction to prescription drugs. Ohio reported a 27 percent reduction in the use of opioids, and a 73 percent reduction in the use of skeletal muscle relaxants, he said. A study released last year by the Workers Compensation Research Institute (WCRI) examined how a Texas-like drug formulary might affect the use and costs of drugs in 23 other state workers’ compensation systems that don’t currently have a drug formulary in place. According to the study, Impact of a Texas-Like Formulary in Other States, if physicians in the 23 other study states were to change their prescribing patterns like physicians in Texas, they could reduce total prescription costs by to 29 percent. The 23 states included in the WCRI study were Arkansas, California, Connecticut, Florida, Georgia, Illinois, Indiana, Iowa, Kansas, Louisiana, Maryland, Massachusetts, Michigan, Minnesota, Missouri, New Jersey, New York, North Carolina, Pennsylvania, South Carolina, Tennessee, Virginia and Wisconsin. The California Workers’ Compensation Institute issued a report in October 2014 discussing whether formularies could sufficiently control inappropriate utilization and costs. The report noted prescription drug costs as one of the fastest growing areas of workers’ compensation medical benefits in California. Some of the reasons include the wide array of drugs available and a dramatic increase in pain management therapies. The research looked at formularies used in both Texas and Washington and found that drug costs could be reduced between 12 and 42 percent – that’s $124 to $420 million in savings annually, the report’s authors concluded. The report also found that a formulary could reduce administrative costs related to medical dispute resolution. “I think, certainly, if California launches a drug formulary, which is entirely possible that it might be launched in some way, shape or form this year. If you get Texas and California doing a drug formulary, those are the trendsetters within workers’ comp, which I think will further underscore the fact that a drug formulary is just a no brainer,” Pew said. A specific list of drugs. Understanding how the drugs are assessed. A firm dispute resolution process. Some form of enforcement mechanism. An enforcement mechanism is particularly important, Pew said. Texas decided to implement the enforcement mechanism at the point of sale. “The pharmacist will ask the patient, ‘Has this gone through the utilization review process, and has someone else looked at this, and validated this as the appropriate drug?’ If the patient can’t produce the evidence, the pharmacist is not allowed to dispense the drug. That’s a very strong enforcement mechanism,” said Pew. In addition, experts said an expedited appeal process is necessary, because some injured workers can’t wait days or weeks for a decision. All agreed that there needs to be consensus among stakeholders involved in a workers’ compensation claim. Riddhi Trivedi-St. Clair, senior manager of Corporate Communications for Express Scripts, said that when there is a state formulary it is more effective for everyone concerned when it’s crafted with all of the stakeholders input. “I think the best implementations of a formulary are ones that truly reach every single stakeholder in the system, get their input, value their input, reach a consensus, and then that compromise or consensus is what’s rolled out,” said Pew.